Have you ever asked yourself one of the following questions? SinceÂ we Muslims all believe in the message of the finalÂ Prophet, Muhammad sallallahu alaihi wa sallam, why are there so many different schools of thought? How is it possible that teachings from this one source can spawn multiple opinions? Why do scholars seem to differ so often? Are the shaikhs belonging to theÂ school of thought that I follow REALLY better than other scholars? 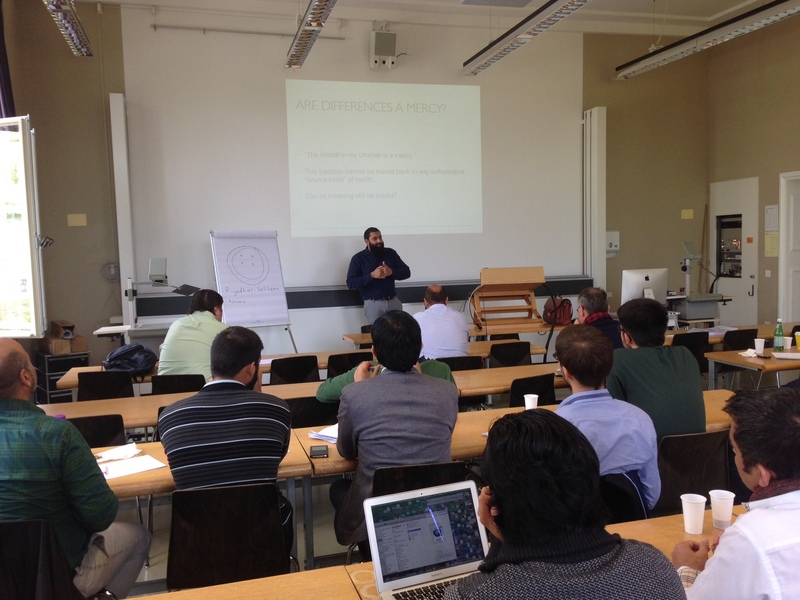 The Muslim Students Association of Zurich and Swiss Muslim Events invited to the full-day seminar ‘Understanding differences of opinion in Islam’ where the aboveÂ questions were answered and – alhamdulilah – our students feedback was very postive and grateful towards the knowledge provided by Ustadh Alomgir. 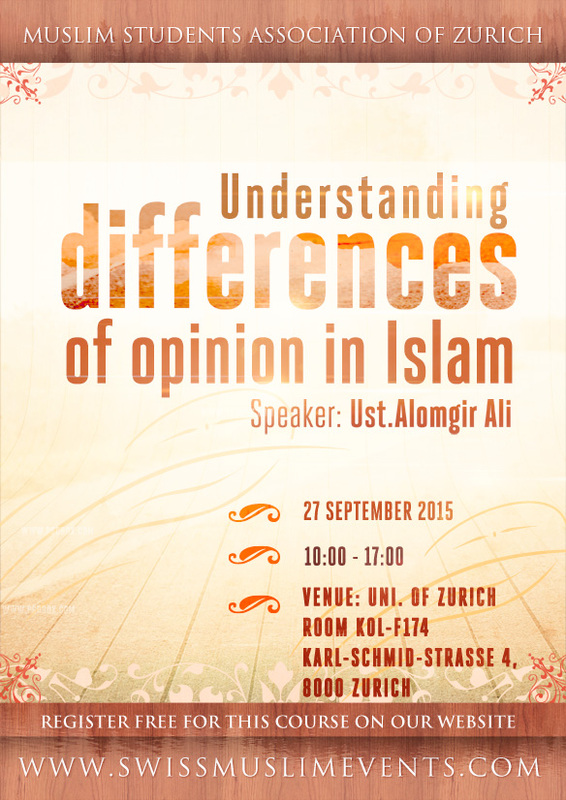 … insha’Allah soon, we will upload the audios of the seminar. Ustdah Alomgir Ali has a BA in Arabic & English language and has studied Arabic and Islamic studies in Cairo and holds a degree in Shariah at al Azhar University in Cairo. 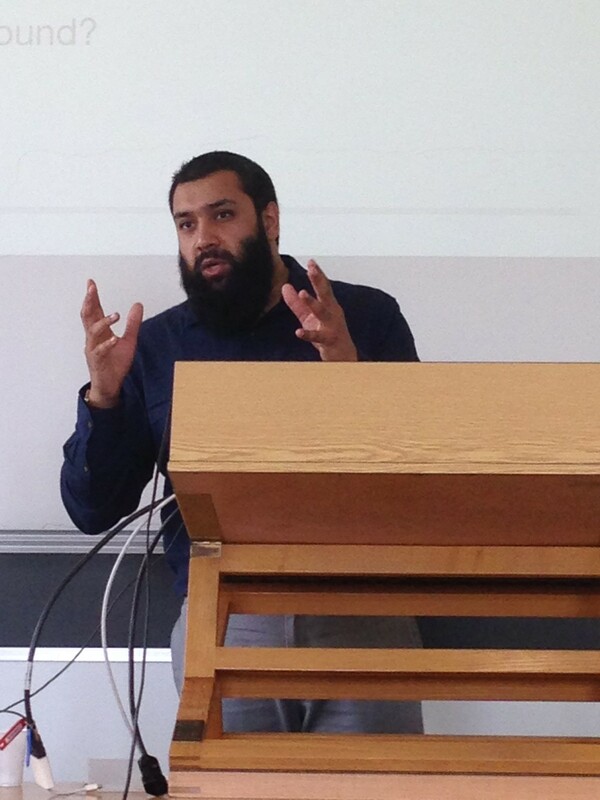 He has translated a number of books and holds weekly Tafseer classes in London and is a regular Khateeb in a number of mosques in London beside being an Imam in central London.